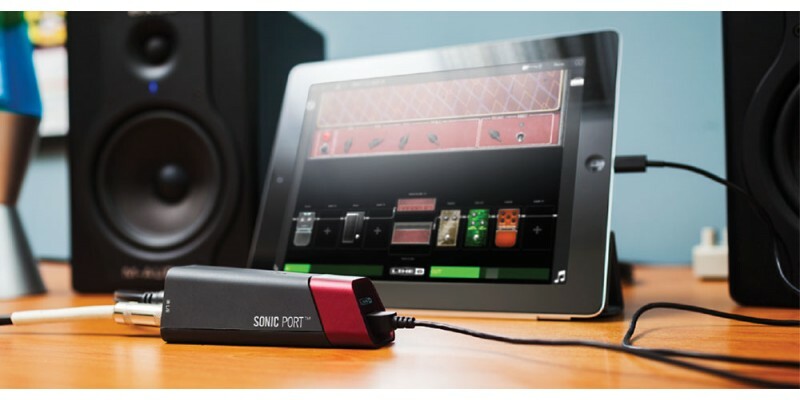 The Line 6 Sonic Port is guitar audio interface for iOS devices. It delivers 24-bit/48kHz audio quality. It comes with excellent POD guitar sounds to make recordings a breeze. Buy online today from Guitar.co.uk. Come and visit our Glasgow shop. We offer a fast and efficient delivery service to the UK and beyond. The Line 6 Sonic Port comes with a Mobile POD app and will work with Garage Band, Jammit and more. The world of recording has radically changed since the introduction of powerful mobile devices. Extremely powerful features can now be acceded on the iOS platform. All in a very portable setup. 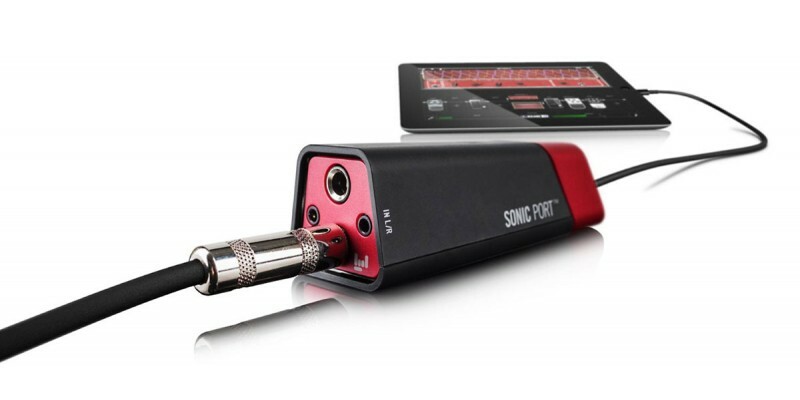 The Line 6 Sonic Port audio interface has been designed to get your guitar into your iPod, iPhone or iPad. Not only is this great for recording it can be used live as well. 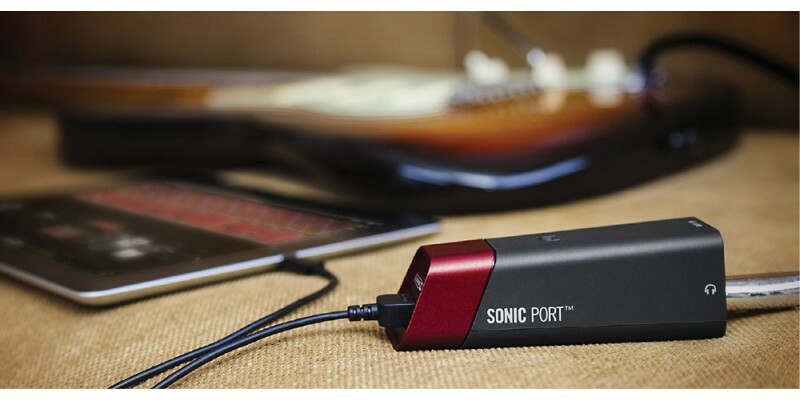 Plugging your guitar into the Sonic Port lets you access Mobile POD. 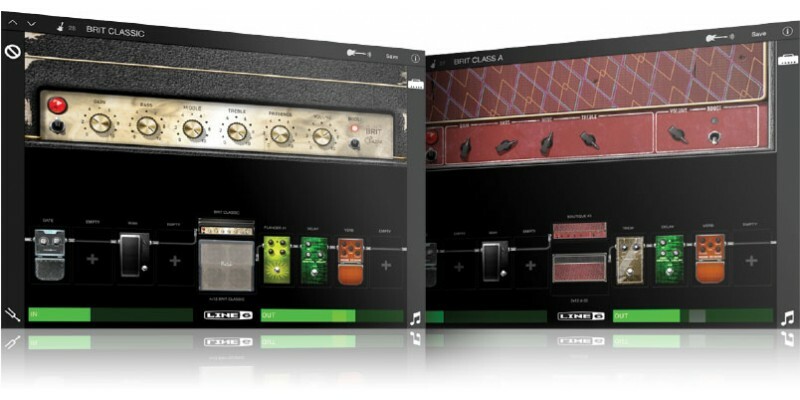 This is an extremely powerful Guitar Rig that features a huge range of tones. The Line 6 Sonic Port lets you get your instrument into software such as GarageBand. It gives you access to over 10,000 pre-sets designed by artists. You will get access to a whole online community of other guitar players. Amps include thirty different types that can be combined with sixteen different speaker cabs. Not to mention the sixteen different effects. It will also let you jam along to your iTunes library. To get the Line 6 Sonic Port working with your iPod, iPhone etc... it is pretty simple. Simply plug your guitar into the interface via the 1/4 inch input. Connect the Sonic Port into your device using the included Lightning cable. Your headphones plug into a dedicated output. Launch the Mobile POD app, GarageBand or whatever software you are using. You are now good to go.